Unicoi County is going to have some of the most secure records storage space in the country. That is because they are moving county records into the jail. Most records are secured but few have armed guards protecting them. But this does bring up the concern over documents in most offices. The standard office has a room or a closet that holds company records. It is usually locked, but not always. This can be a glaring hole in document security. Anyone could go in and take important records from the middle of stacks of files. It is almost impossible to know they have been taken unless the person is caught in the act. The information can then be sold to identity theft rings by the handful. They will create artificial accounts using the personal information. It may take years to figure out the true source of the data breach. By this time the problem may have become very expensive to fight. FACTA requires employers to keep their employees personal information secure. A locked door is a small expense, and is the bare minimum in security. Keys should only be given to employees who need to access to the records. All other employees should be supervised when they have access to private information. 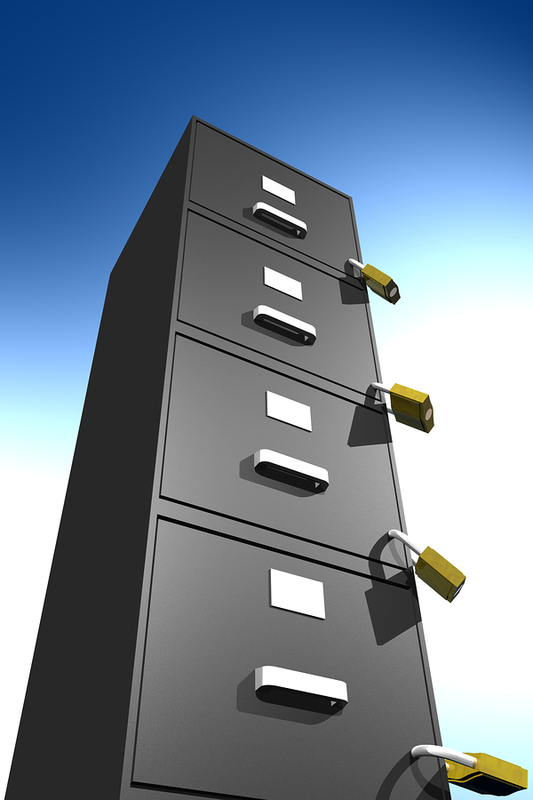 If you are concerned about the physical safety of documents, they can be safeguarded at a records storage facility. They provide the physical security of the documents along with security against fire, humidity, and bugs. And when you need a document, it can be delivered right to your office. Get Free Quotes on Secure Records Storage Services today! Record Nations makes your security our priority. We understand the requirements put on businesses to keep employee and confidential business information private, and take every effort possible to ensure your security. Call us today at (866) 385-3706 or fill out the form on the right for free quotes on secure records storage services in your area. Our local contractors are ready help you secure your documents as if they were in jail.